A recent enforced Windows 10 Security Update is causing instances of ErgoSoft RIP Version 14 and Version 15 to error with COM permissions, when Print Environments are opened or PrintClients are attempted to be launched. The specific Windows Security Update, which can cause the current issues, normally is labeled as KB4056892 (alternatives: KB4056888, KB4056890, KB4056891, KB4056893, KB4056895, KB4056896, KB4056898, KB4056899). Please install the newest HotFix of the ErgoSoft RIP Version 15 (15.1.1.6948) from our website to resolve the problem without uninstalling the Windows Security Update. We hope to be able to provide a similar HotFix of Version 14 by tomorrow as well. 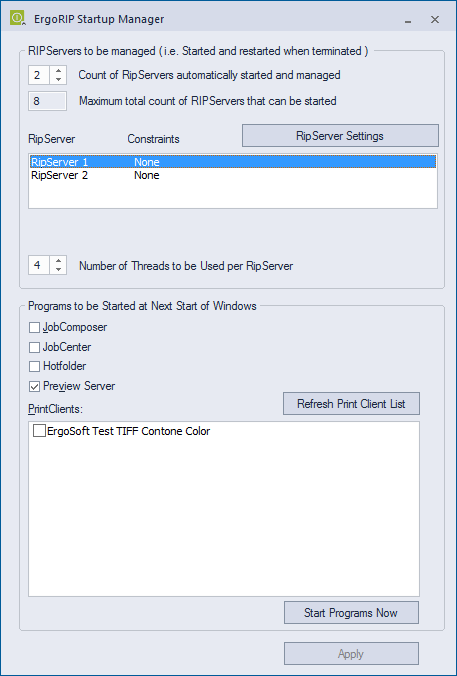 The ErgoSoft RIP Startup Manager allows you to configure which components of the RIP are launched automatically on Windows startup and features related to RIP server performance. 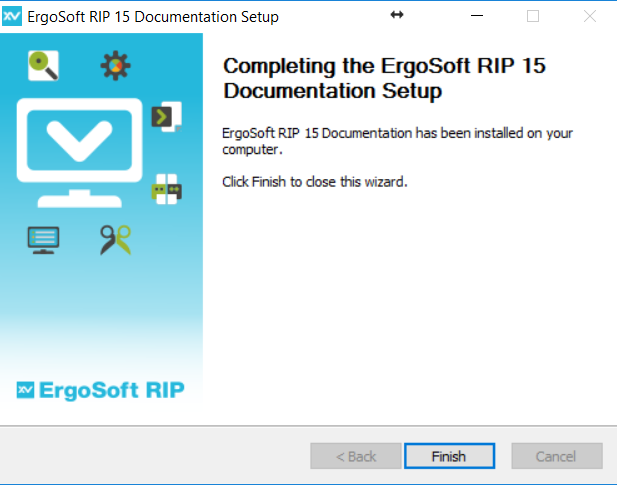 In Version 15 of ErgoSoft RIP, the Startup Manager is launched automatically with Windows and should be running at all times that the RIP is operating to ensure RIP servers and other critical background components are also running. 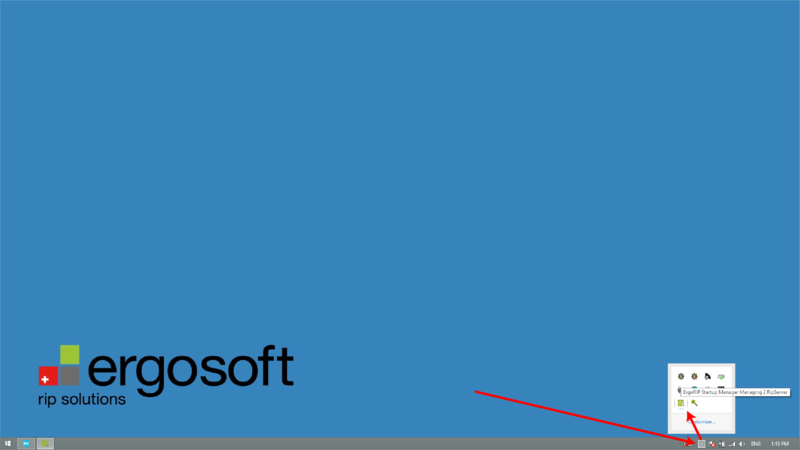 In the Windows system tray, look for the Startup Manager Icon and either double click or right click and select Show Config to open the Startup Manager. 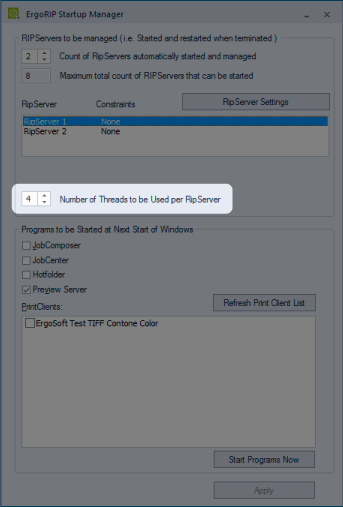 With the Startup Manager open, you can now select how many RIPServers should autolaunch, what those RIPServers should process, the number of processing threads each RIPServer should use, and also what components and print clients should autolaunch with Windows. Version 15 grants access for up to 8 RIPServers to be used simultaneously without special licensing. A good rule of thumb for figuring out how many to have configured is to judge based on available system RAM. Each RIPServer is able to utilize approximately 4 gigabytes of RAM each so for each one you plan to run simultaneously your system should have that much free. In addition to that you should also allow for extra RAM for the remaining RIP applications and the OS itself. For example, a system with 16 gigabytes of RAM available is best served by running 3 RIPServers simultaneously. Using more than that will not affect stability but rather give each additional RIPServer diminishing returns regarding speed. 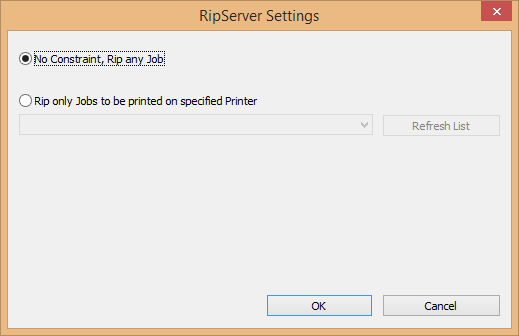 This section allows you to dedicate specific RIPServers to specific PrintClients so that they will only rip jobs for that particular PrintClient. 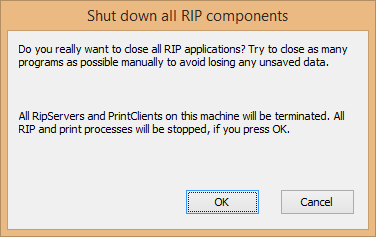 This can be useful if you want to be sure no printer is idle due to the ordering of jobs waiting to RIP. 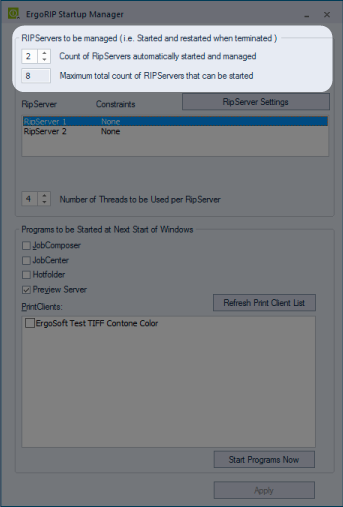 This allows you to configure the number of processor cores available to each RIPServer. 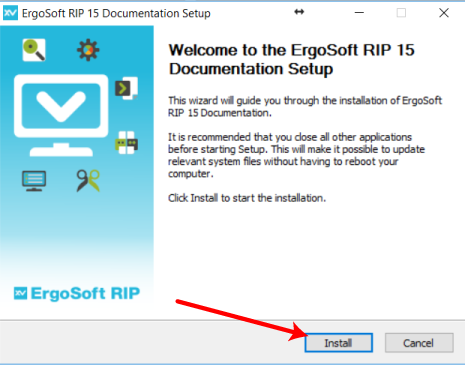 Please refer to the Application Note “ErgoSoft RIP recommended System Configuration” for more information before changing this from the default 4. 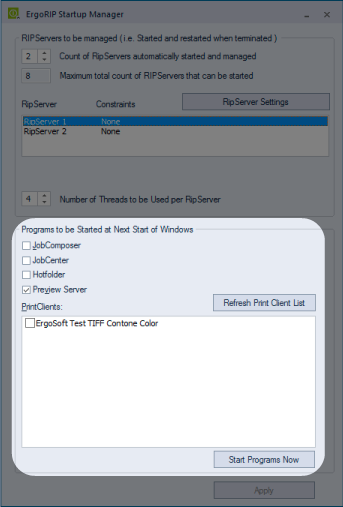 Here you can choose which components of the RIP you would like to launch with Windows and also which of your configured PrintClients you would also like to launch automatically. This can also be a quick way to launch all of the checked items by clicking the ‘Start Programs Now’ button if they aren’t already running. 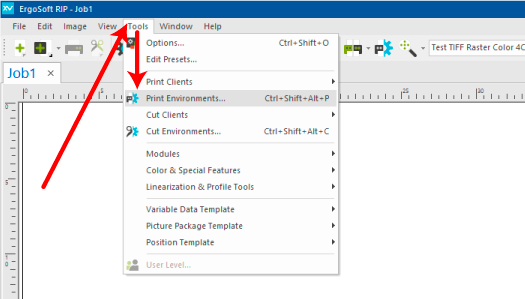 Open the Print Environments dialogue by going to the Tools menu and clicking Print Environments. 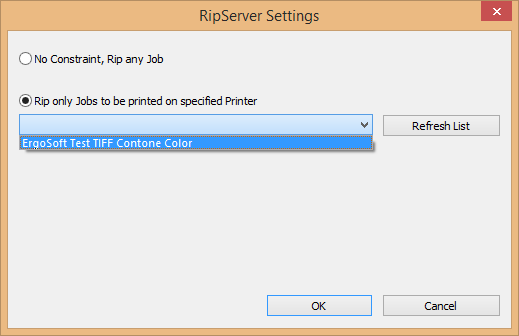 Rename the Print Environment In the dialogue window that pops up to reflect the new settings and then click ‘OK’. 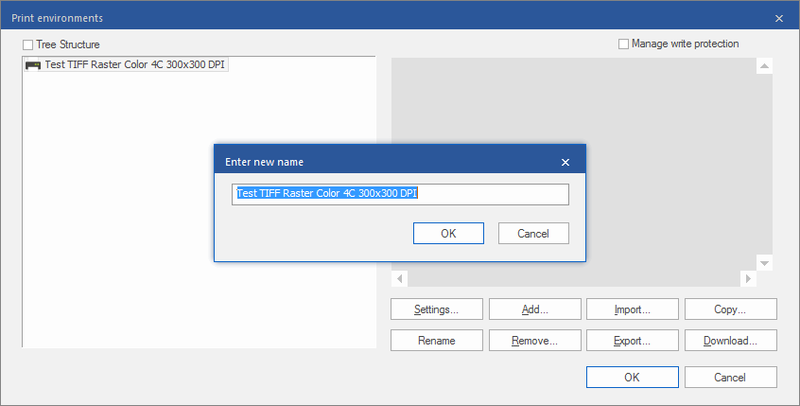 From here you can access the settings of the new Print Environment by clicking the ‘Settings’ button to make any necessary changes. Sometimes you might want to back up your ErgoSoft RIP Installation for emergencies in case you need to restore your setting after a hard drive failure. Or you might want to migrate you installation to another system and are looking for the easiest way to transfer your settings to a new installation or different computer. 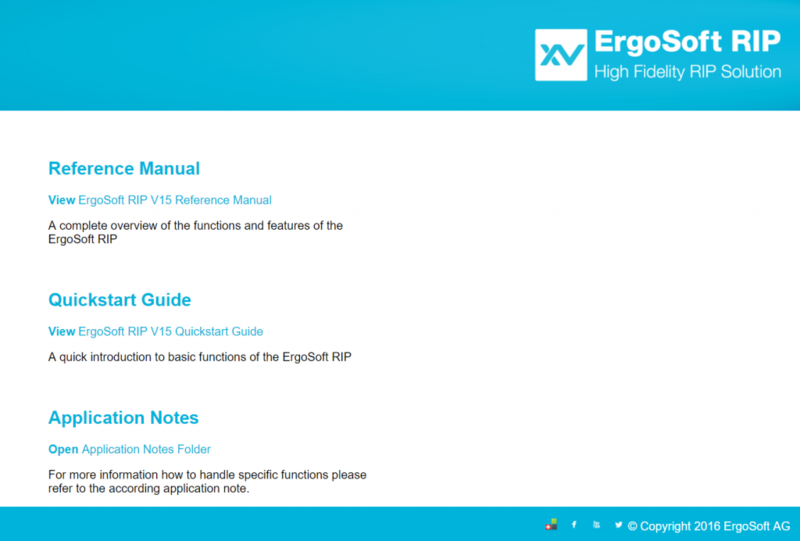 Below is a step by step guide on how to backup or migrate your ErgoSoft RIP system settings. 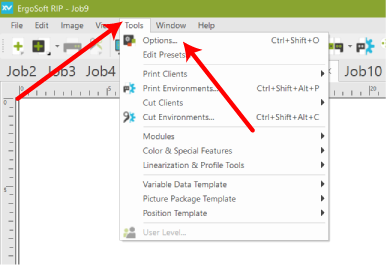 If this location has been customized you can find the current User Data location by clicking on Help then About in the ErgoSoft RIP JobComposer and look for the User Data: field. 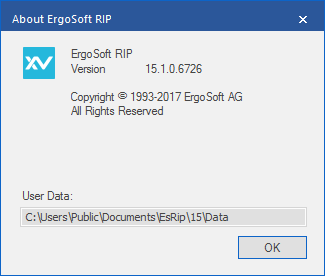 You should also check the About ErgoSoft RIP information for your currently installed version number. You will need to use the same version on any system involved with this migration. Please note that these contain all information pertaining to currently queued jobs and information about how they were printed in the past. It is recommended to back up your JobTickets folder if this information will ever become vital. 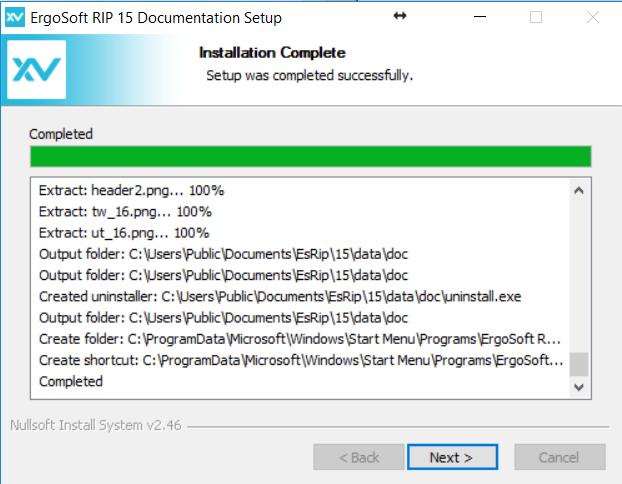 Install ErgoSoft RIP onto the new system using the exact same build number as the User Data previously copied. 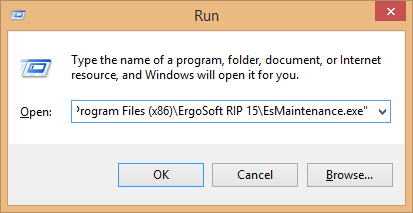 Once the installation on the new system has finished, run the ErgoSoft RIP once and cancel when prompted to add a print environment hit cancel to exit the program. Locate the User Data folder on the new RIP system and copy the contents of your previous User Data into that folder. When prompted overwrite all existing files. Launch the RIP and all settings and environments will have been transferred over to the new installation. Please note that any USB port configurations, Spool Folder Locations, and any other customized locations that do not exist will need to be created on the new system or errors will result. 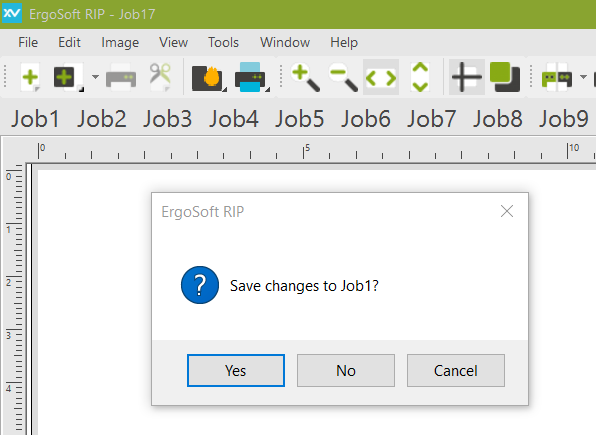 All of the ErgoSoft Technical Documentation can be accessed and downloaded directly from the JobComposer of your Version 15 RIP. 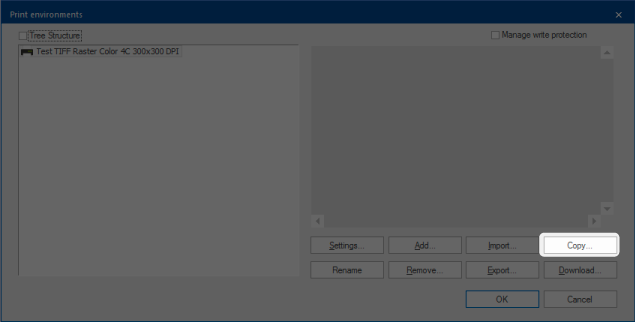 Finally, select “Finish” to close the install wizard and launch the RIP. 1. 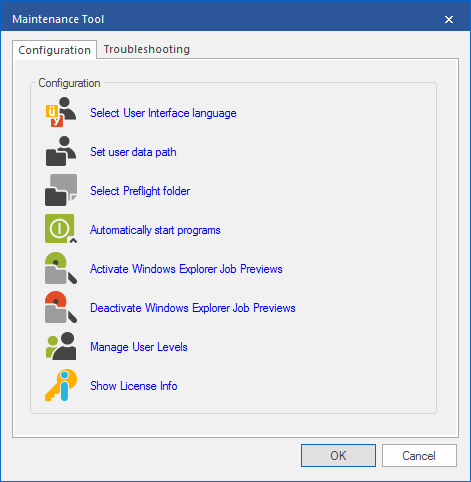 Open the ErgoSoft Maintenance Tool by using the Windows start menu search function to search for “Maintenance Tool”. to directly launch the Maintenance tool from its default location. 2. 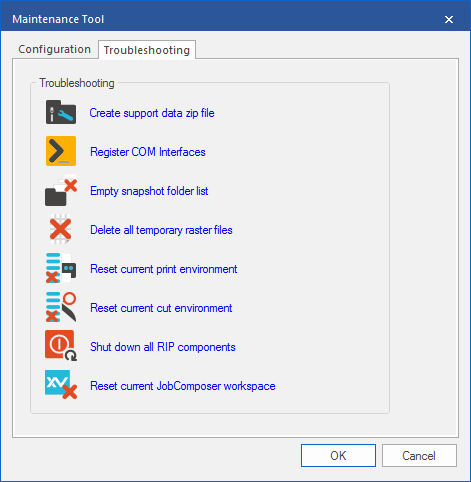 Click on the Troubleshooting tab then click on Shut down all RIP components to completely shut down the RIP and all background processes. This may take 2-3 minutes to finish the shutdown process. 3. 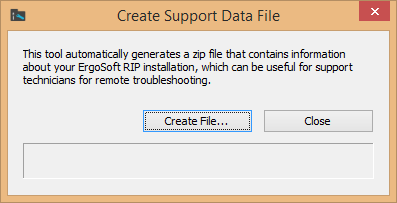 Click on ‘Create support data zip file’ then click on the ‘Create file…’ button on the resulting dialog. 4. 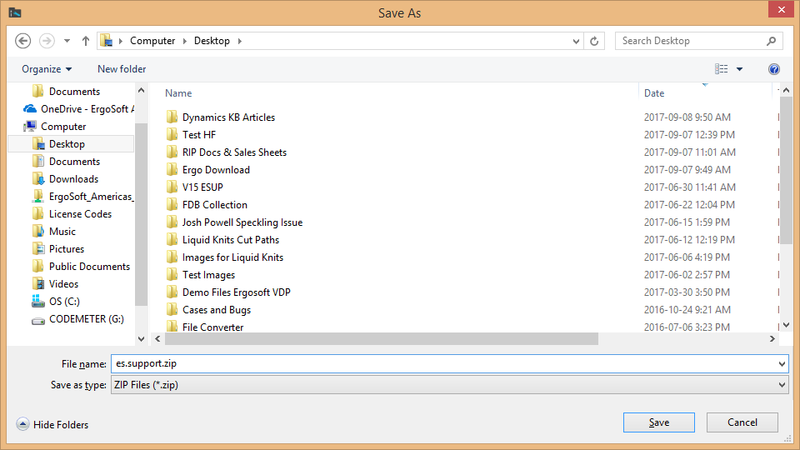 Browse to an appropriate location to save the support file and rename it as needed then click save. 5. 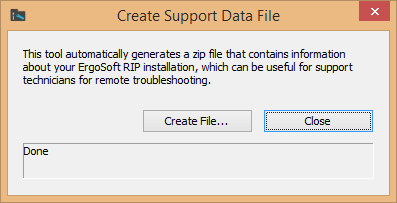 The tool will now create and save the support data zip in the location specified. Simply upload or email that information as needed to your ErgoSoft support contact. 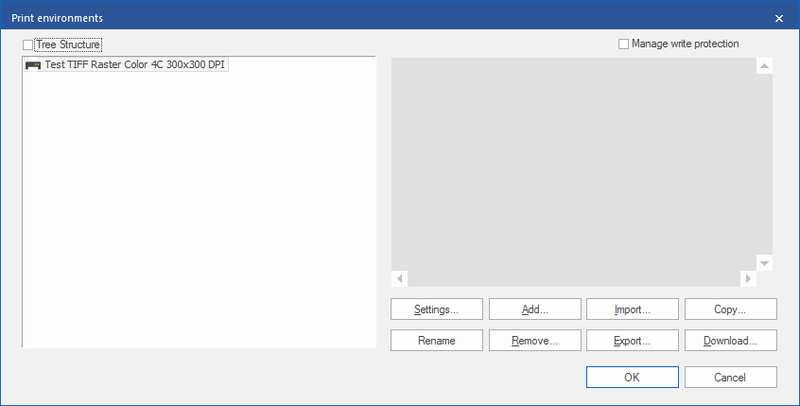 Having the ability to tab multiple job layout windows in the ErgoSoft RIP is a valuable production feature however closing all those layout windows manually can be time-consuming. 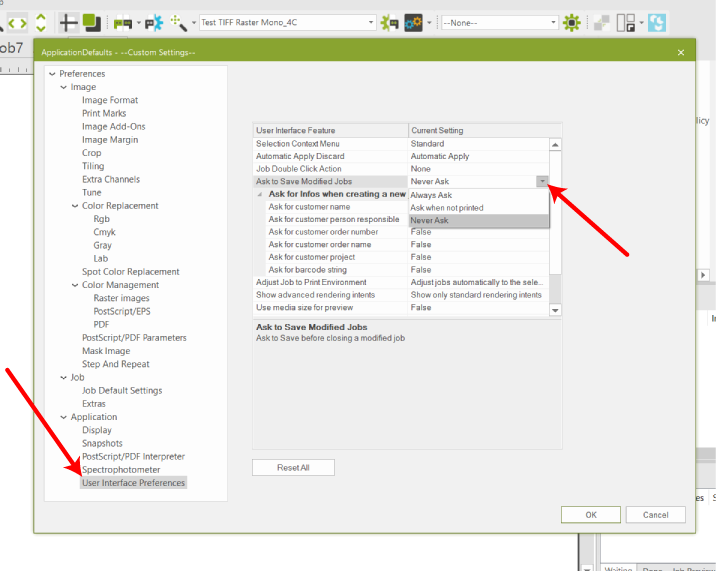 Use the following configuration setting to speed up this process.